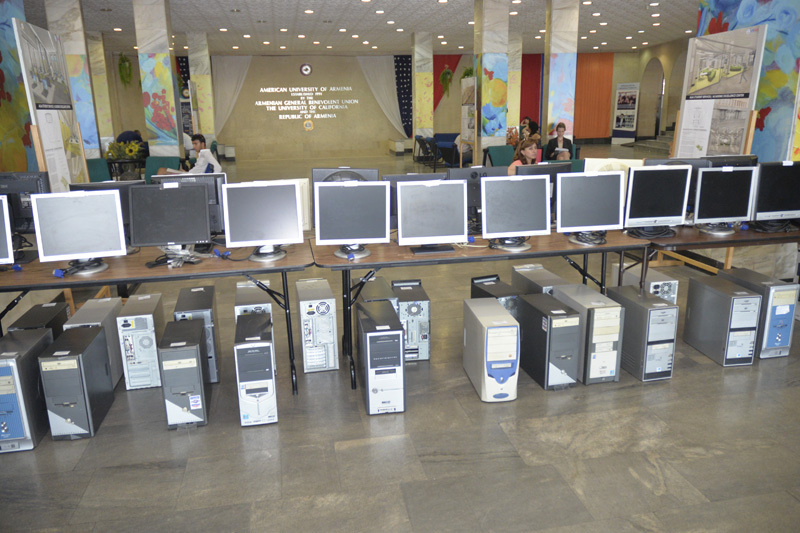 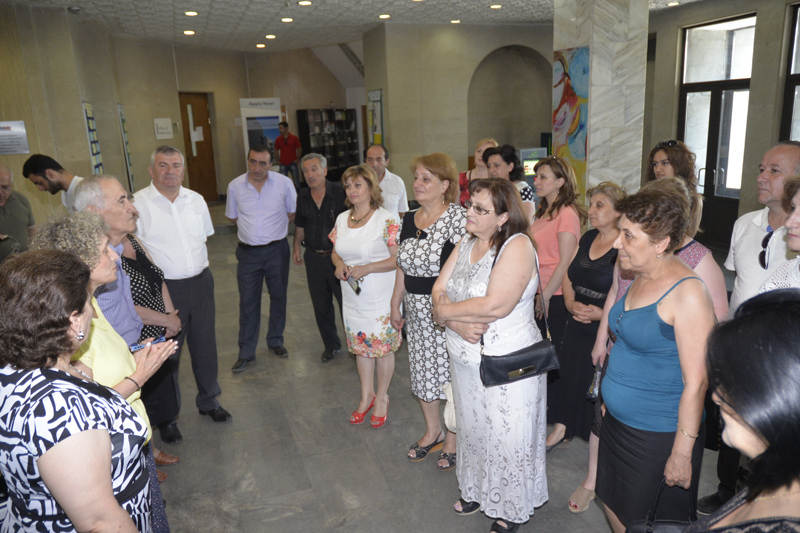 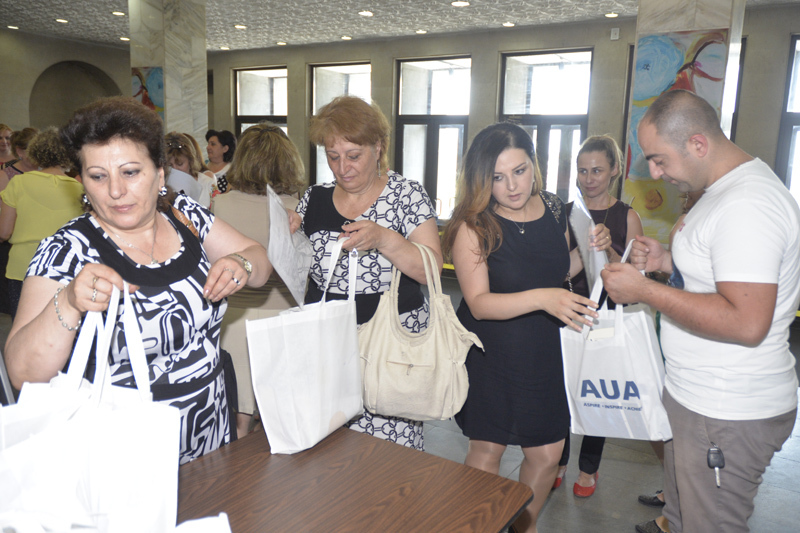 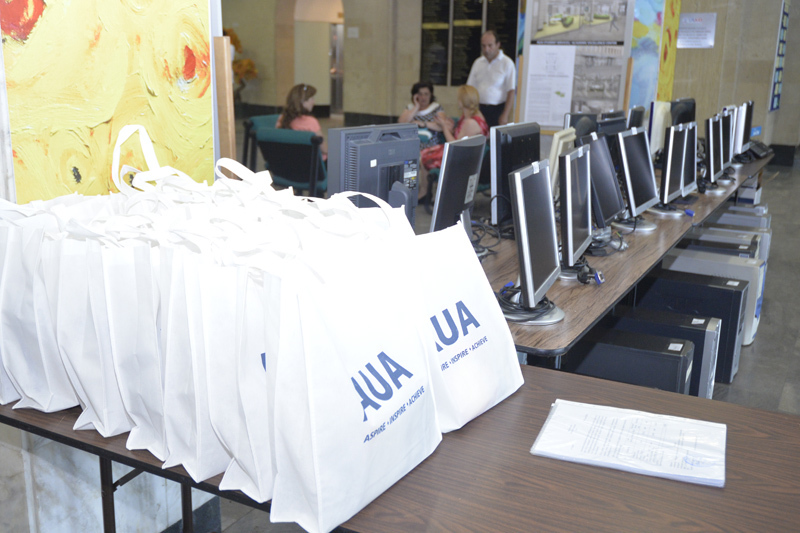 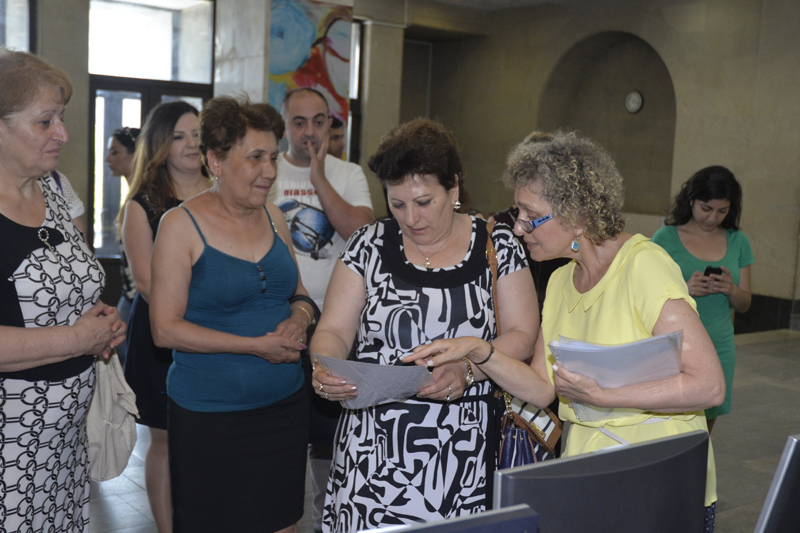 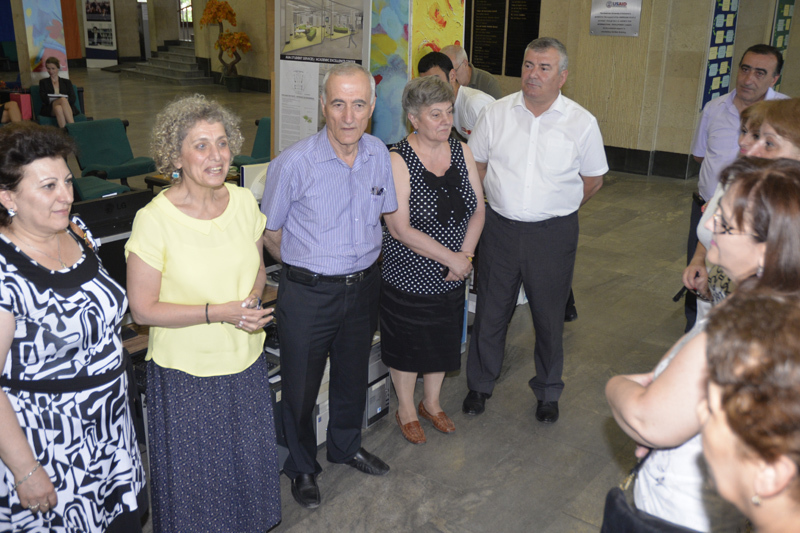 YEREVAN, Armenia – On July 3, 2015, the American University of Armenia (AUA) AGBU Papazian Library held a ceremony to celebrate the donation of 22 computers to 14 different municipal and regional libraries around Armenia. 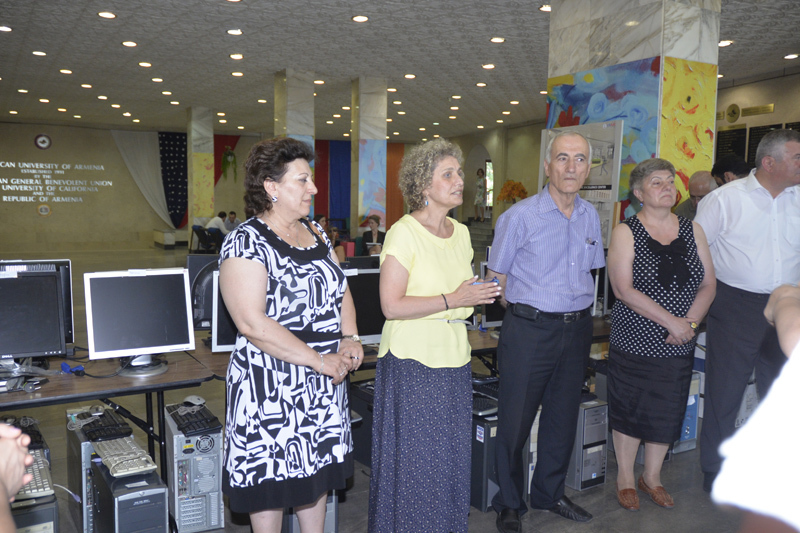 Representatives from the Armenian Library Association, through which the donation was made, were present at the ceremony to formally receive the computers. 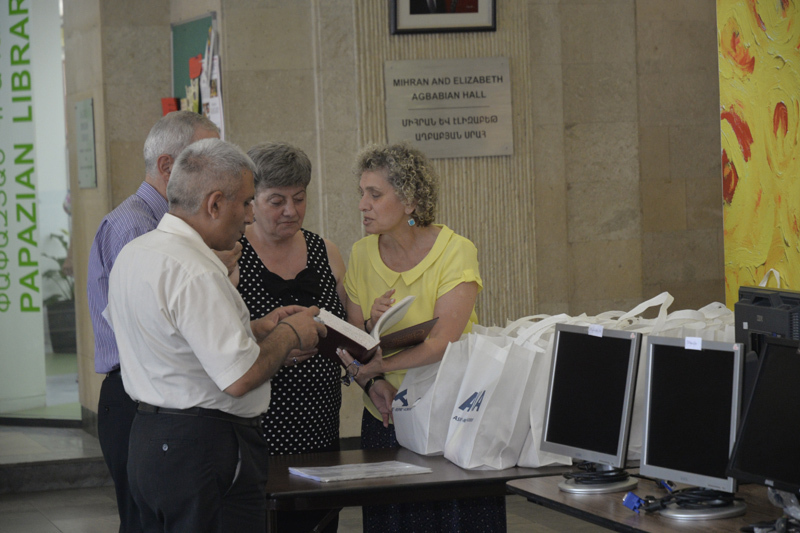 AGBU Papazian Library Director, Satenik Avakian, welcomed the guests and gifted them each with a complimentary bag of books, including a copy of Merriam-Webster’s Collegiate Dictionary.